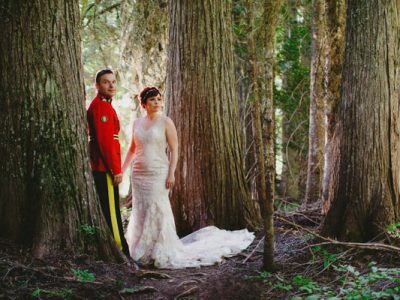 “When planning our wedding, we decided the best thing to do was determine our ‘non negotiable’ list. Venue, menu and photography were things that were very important to us. A venue and menu for guests, and the pictures to back up what ended up being one of the best days, ever! We truly believe memories are created through experiences, but a picture to help relive that memory is priceless! 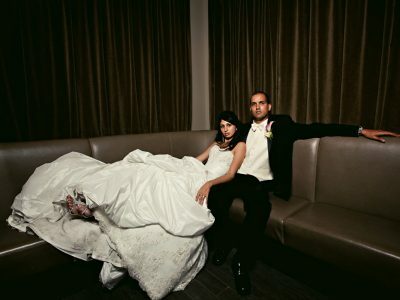 When deciding on a photographer, we did our research…..boy did we do our research! We set up a time to meet with both Duane and Kevan at a coffeeshop and could not believe that these ‘guys from Fernie’ were going to meet us in Calgary. Sweet! Both Kevan and Duane were incredibly professional, yet made us feel like old friends. Come the wedding day, both guys were very organized and made our lives easy. The ceremony was a blur, and this is where we were both so happy to have snapshots of what happened, as we were busy ‘getting hitched!’ Family and friends commented on how professional both guys were during the ceremony and family pictures. As we were in Banff, there were a few places I bet these guys had scoped for shots following the ceremony. 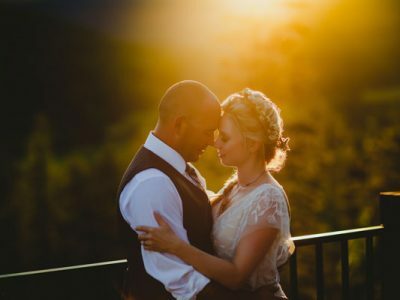 Our first ‘couple shot’ on the dock with the mountain in the background was AHHHH-MAZING! These guys clearly have an eye for these types of shots! “Trust me, it will be worth.” Famous words spoken by both Kevan and Duane as we entered the underbrush and breeding ground for millions of…..mosquitos!!!! Those famous words were probably the only thing keeping our busy scratching arms still during a shot, and pushed our willingness to ‘catch the light’ for that next amazing shot. Our first dance picture depicts the massacre (on the brides back), but will forever depict a very memorable moment of our wedding day. Working with Kevan and Duane was a great experience and we would recommend them to anyone! Thanks again!